The event is sponsored by the museum and Ireland’s Great Hunger Institute at Quinnipiac with assistance from the Irish Cultural & Sports Association of Southern Connecticut. O’Rourke’s album, “Chronicles of the Great Irish Famine,” evokes the harsh truths of the Irish peasant’s life during the potato blight of 1845–52. Few songs about the Famine were ever written, and “Chronicles,” released in 2018, is a cathartic response to the erasure of the blight from cultural consciousness. 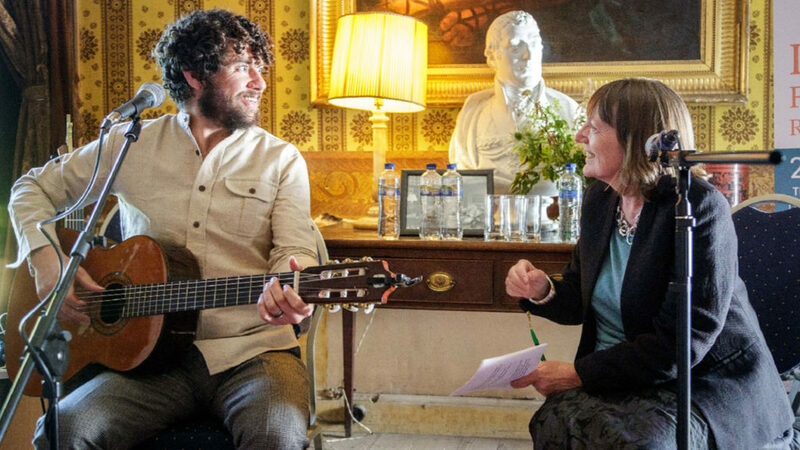 Christine Kinealy, a history professor and founding director of Ireland’s Great Hunger Institute at Quinnipiac, will join O’Rourke in a conversational journey that will explore music, history and cultural impact. Tickets for this event are $20 for the general public and $10 for museum members as well as Quinnipiac faculty and staff. Admission is free for Quinnipiac students. Tickets must be purchased online in advance here.